Hamilton mastermind Lin-Manuel Miranda may have performed at the Richard Rodgers for one last time on July 9—but that hardly means he's not keeping busy! (We told you he would!) 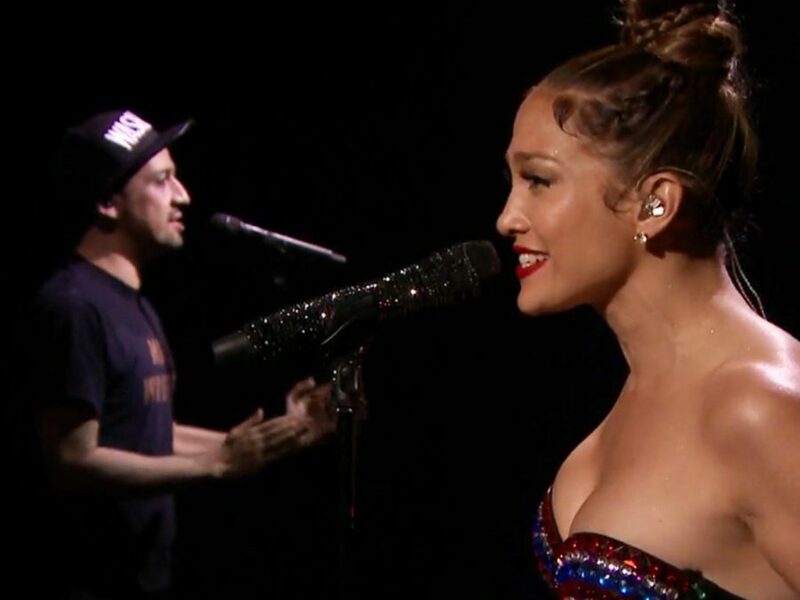 The Tony winner took the stage on The Tonight Show Starring Jimmy Fallon on July 12 with pop sensation Jennifer Lopez to perform their single, "Love Make the World Go Round," a tribute to the victims of the tragic Orlando shooting that occurred on June 12; proceeds from the track benefit the Hispanic Federation's Proyecto Somos Orlando. If you loved their up-tempo stint on The Today Show, you'll adore this stripped down (albeit, extremely colorful) version below. The ten-dollar Founding Father also dished on his emotional last performance. Enjoy!